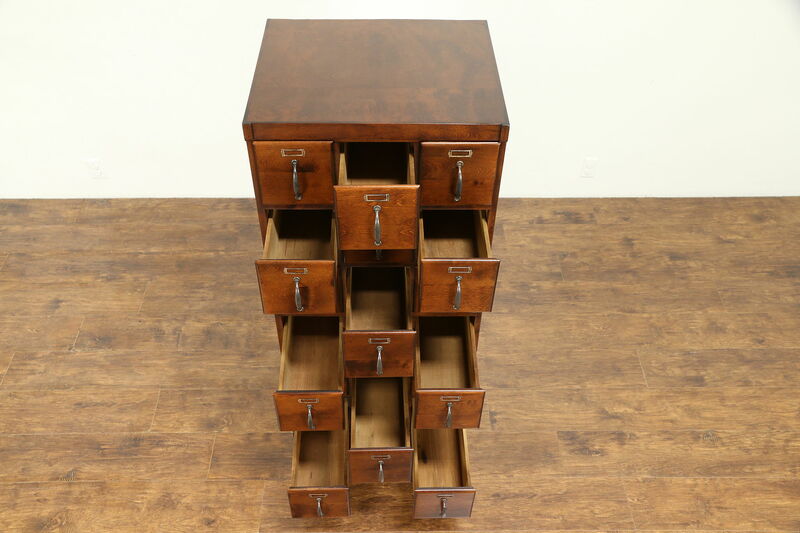 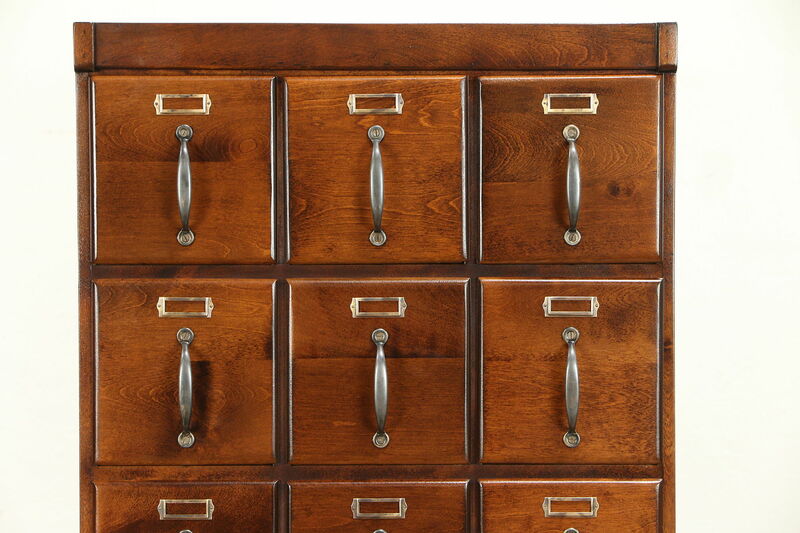 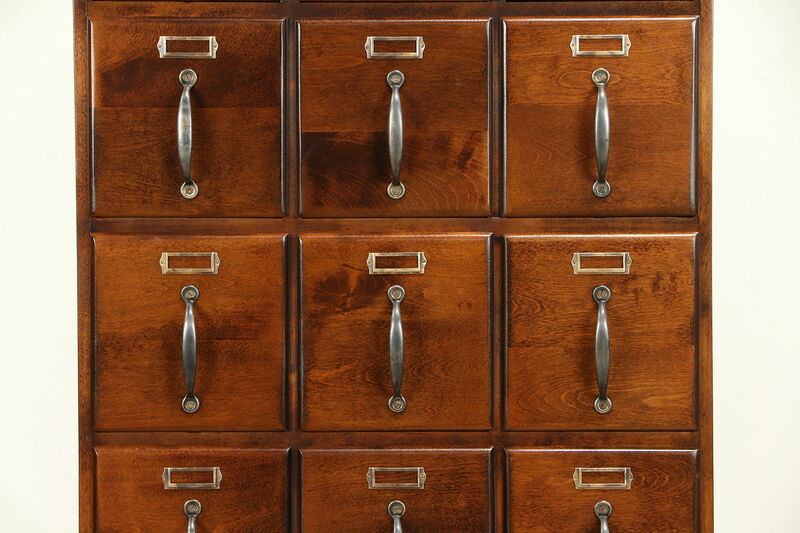 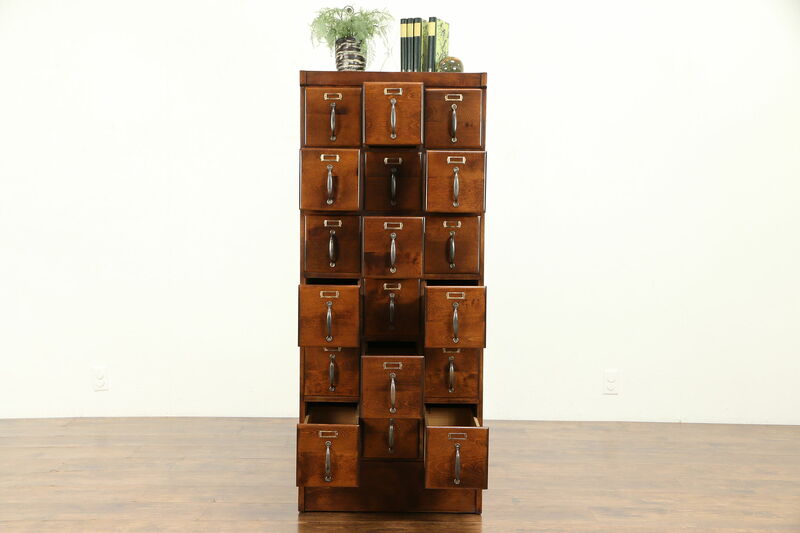 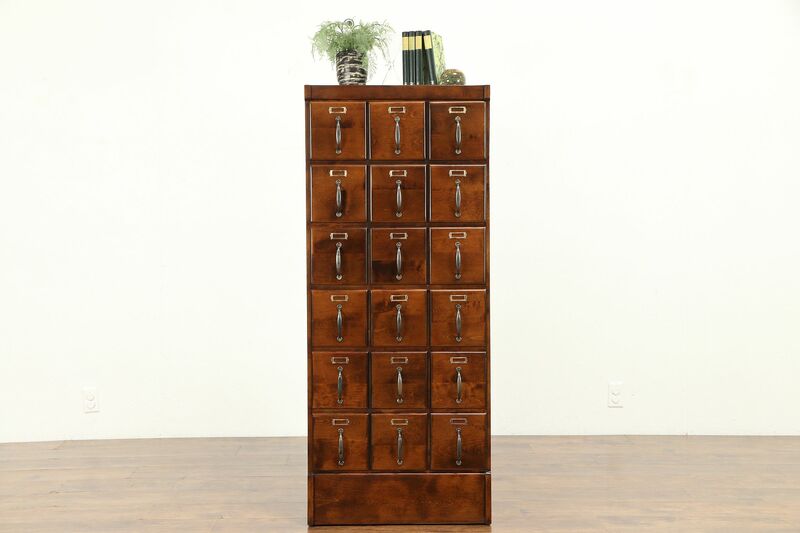 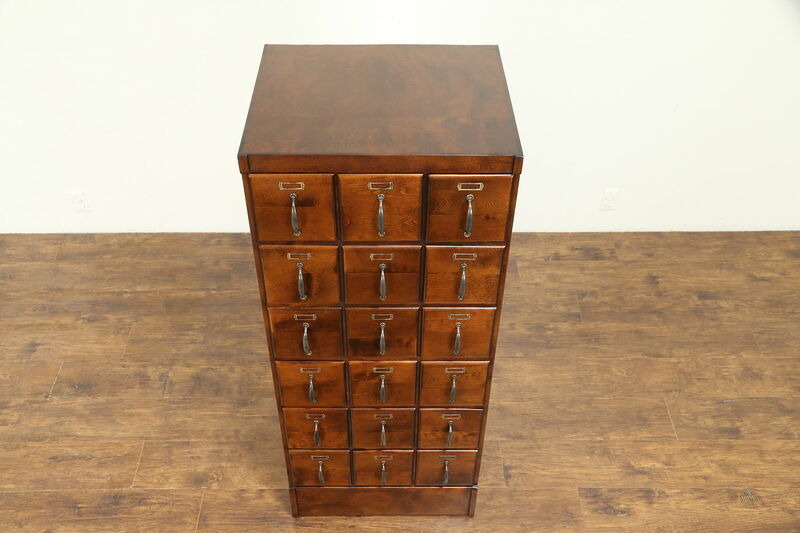 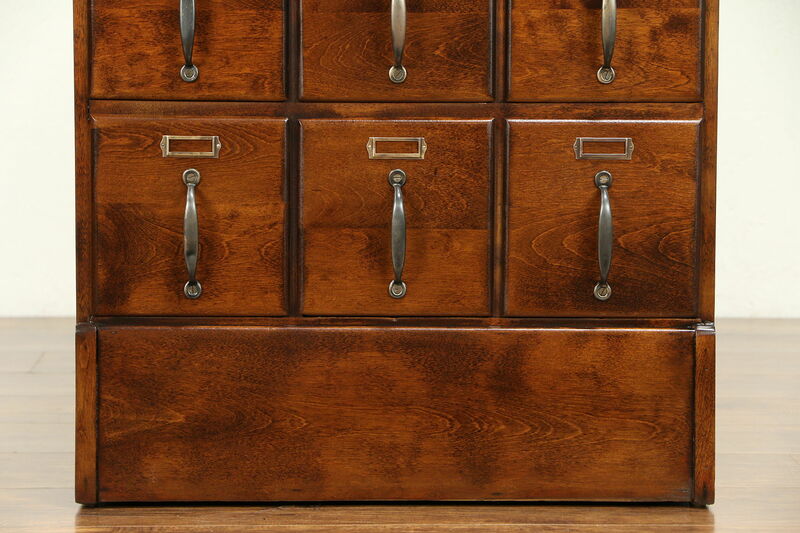 This 18 drawer collector or file cabinet from about 1910 is solid birch hardwood with original label holders and pulls. 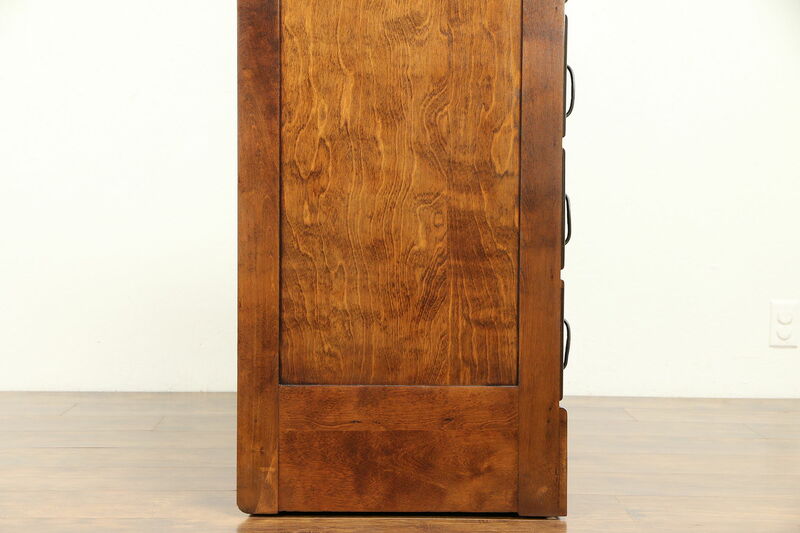 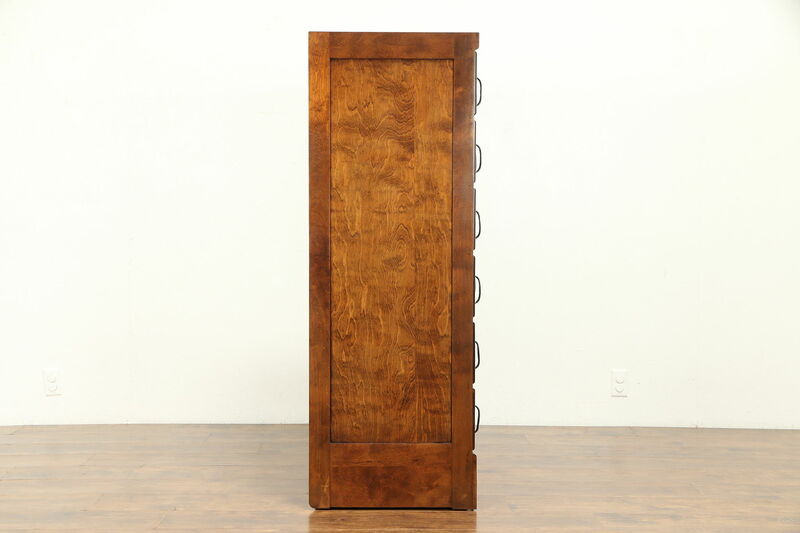 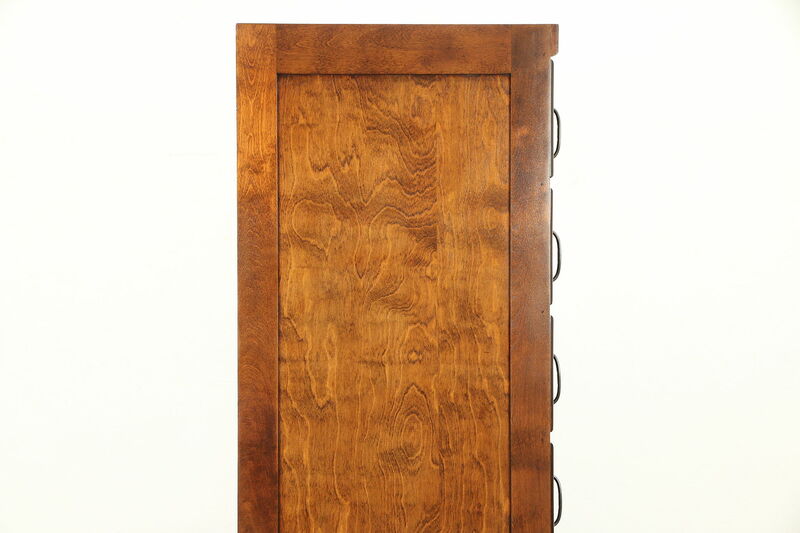 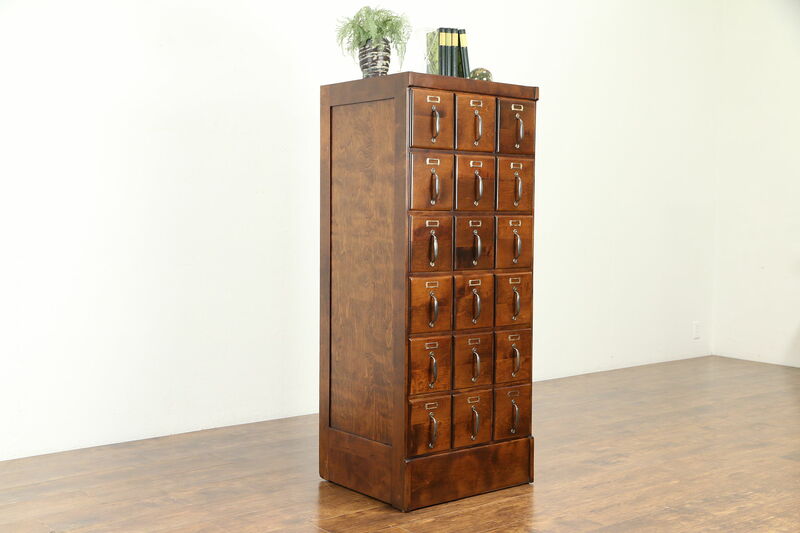 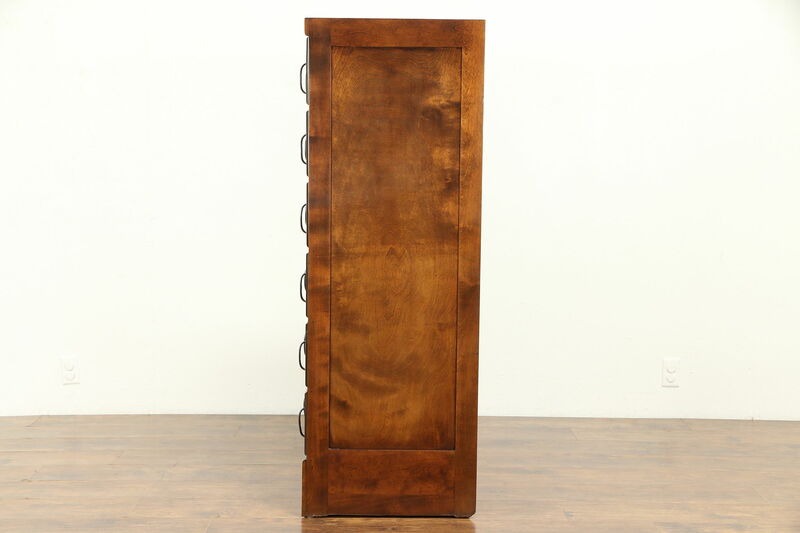 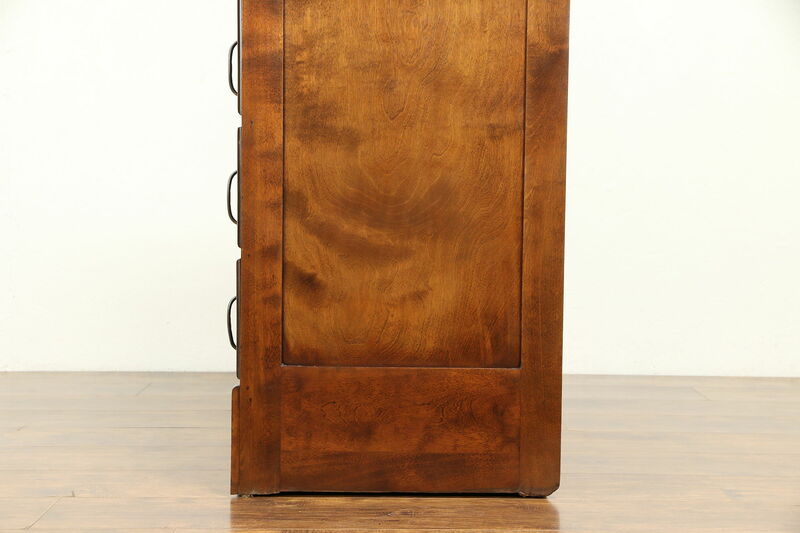 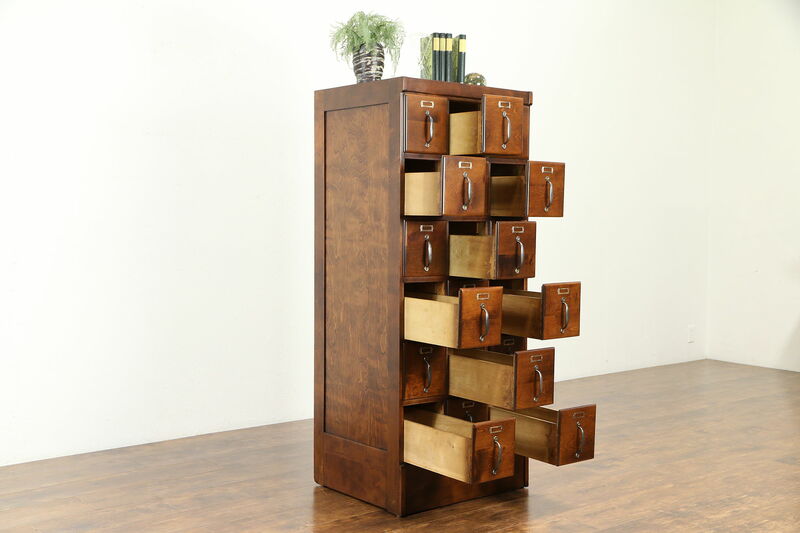 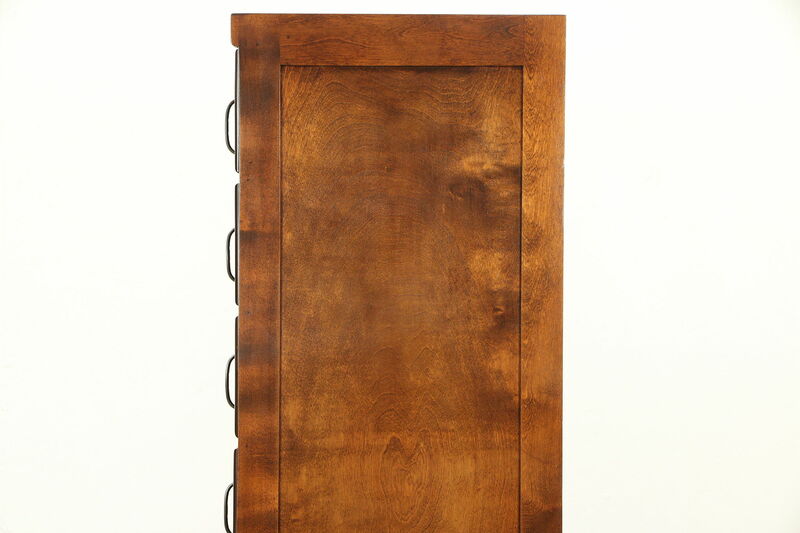 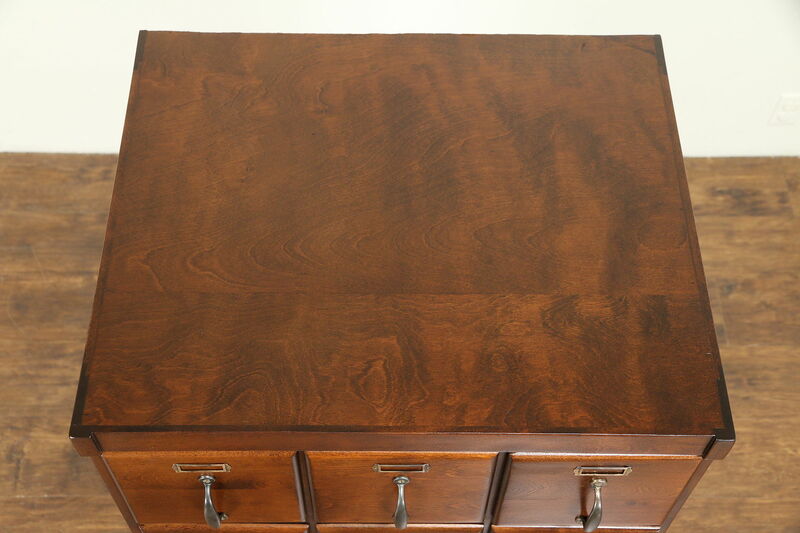 The restored deep finish is in excellent condition on this American made antique library or office furniture. 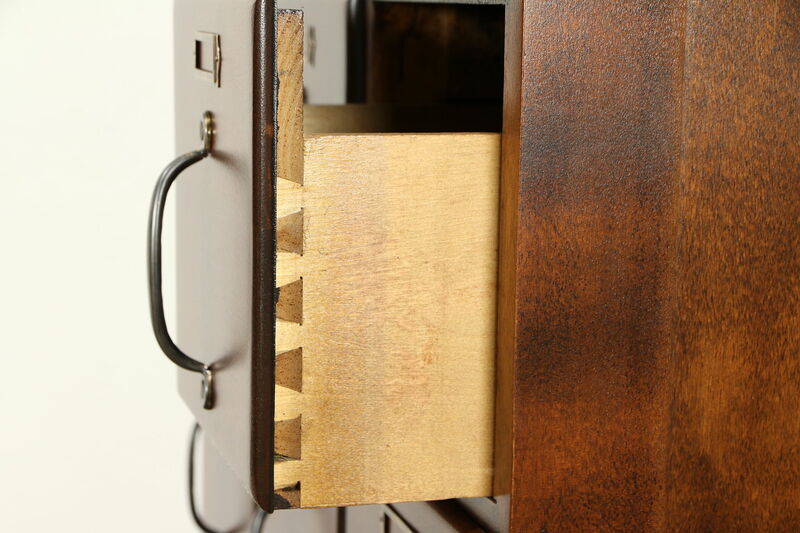 Drawers have dovetail joints and interior size is 6" wide, 6 1/2" tall and 18" deep. 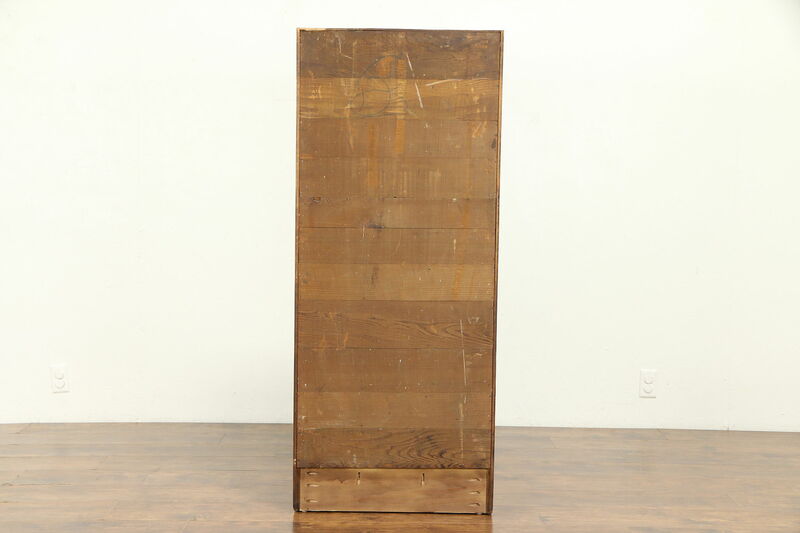 Overall size is 24" wide, 20" deep and 57" tall.